WIM files let admins consolidate desktop images onto a single disk to simplify OS deployments, such as Windows 7. Part one of this series explores Microsoft Deployment Toolkit 2010, including basic functionality and the look and feel of the tool. 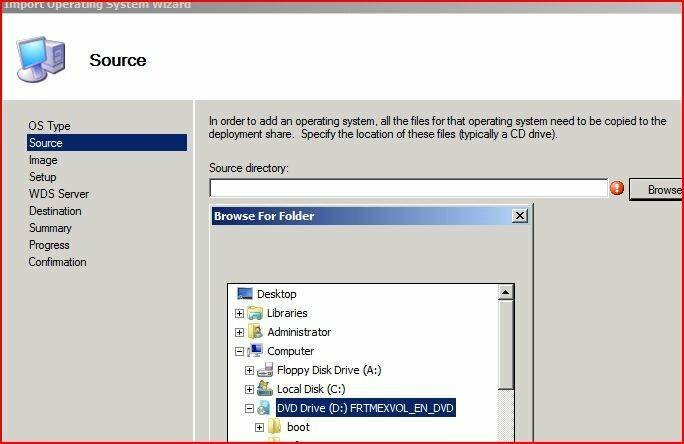 This article breaks down how to get operating systems and application files into the MDT console so they can be used in custom deployments. Part three will highlight more complex features in MDT 2010. To review, MDT 2010 lets administrators collect all the components needed to install several machines on different sites and in different roles, and then build deployment scenarios that use those components. 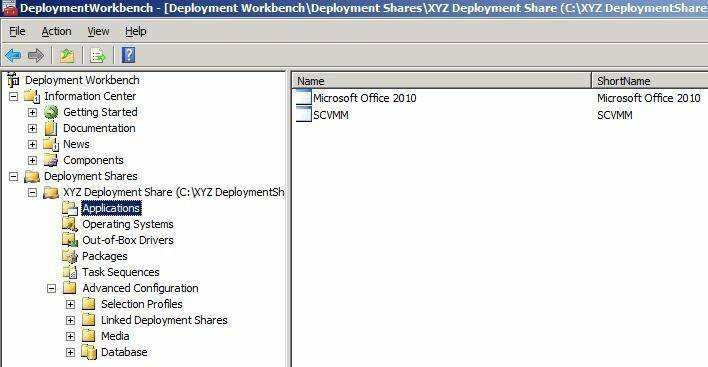 For instance, if a group of PCs requires Windows 7 and needs certain network drivers and video drivers along with Microsoft Office 2010, they can be loaded into the Deployment Shares folder in the MDT console and used in the deployment. The OS files are all contained in a single file. Note that Windows 7 and Windows Server 2008 R2 use a WIM file for installation rather than the i386 directory of files that exists in previous builds of Windows. Since the files are centrally located, multiple WIM files can be stored on a disk without destroying their contents. WIM files can be easily transported between systems. A WIM file is hardware-independent, meaning one WIM file will work for any hardware platform. Multiple images can be stored in one WIM file. For instance, Windows 7 stores all versions in a single WIM file, and the installation uses the correct version. WIM files can be custom-built. IT admins can, for example, build a WIM image of a particular configuration and deploy it to various machines with a simple file copy. A WIM file can be converted to a virtual hard disk (VHD) from which an operating system can be booted. The Windows 7 and Windows Server 2008 R2 DVDs already contain WIM files. But if there is a requirement to create a WIM for Windows XP or Vista, it can be done in the MDT console. Figure 1 shows a Windows Vista x64 OS file, which is actually a WIM file. Insert the Vista x64 CD in the CD drive. For a virtual MDT server, simply mount the Vista x64 ISO in the virtual CD drive. OS Type -- Choose Full Set of Source Files. This option is also used to add a WIM file already created. Source -- Browse to the location of the DVD or ISO image. Figure 2 shows a virtual machine structure. Destination Directory Name -- The OS files are saved here. Be sure to create a descriptive name like Windows Vista x64. A summary page lists all the answers to the wizard. Progress -- Progress for creating the WIM file. The WIM file will be stored in the Operating Systems folder in the MDT console as shown in Figure 2. WIM files of applications such as Office 2010 can be built and saved just like the WIM file in the previous example, as long as the proper licenses exist. To begin, insert the CD or DVD of the application, or store the ISO image file in the virtual drive of a virtual machine. Application type -- Select application with source files, application without source files or application bundle. Details -- Enter Microsoft Office 2010 as the application name. Source -- Browse to the correct source. Destination -- Specify the name of the directory it will be stored in. Command details -- Specify the install command (setup.exe in this case). Click next, followed by finish. The file appears in the Applications folder, as shown in Figure 3. Understanding how to create WIM files and add applications to the MDT 2010 console is key to a successful installation of Windows 7 and involves a few easy steps. While using MDT to build WIM files certainly isn’t the only way, it may be the easiest. Gary Olsen is a solution architect in Hewlett-Packard’s Technology Services organization and lives in Roswell, Ga. He has worked in the IT industry since 1981 and holds an MS in Computer Aided Manufacturing from Brigham Young University. Olsen has written numerous technical articles for TechTarget, Redmond Magazine and TechNet magazine, and he has presented numerous times at the HP Technology Forum. Olsen is a Microsoft MVP for Directory Services and is the founder and president of the Atlanta Active Directory Users Group.